Join us for Austin Fashion Initiative's (AFI) meetup, where we'll be featuring a panel discussion with fashion innovators from around the globe. At Condé Nast's Digital Innovation Center we'll be diving deep into a discussion on the convergence of fashion and technology. Austin Fashion Initiative events are open to any professional participating in the fashion and creative industries. Join us for engaged networking, great conversation and special treats with Austin’s most innovative fashion business professionals. We love hosting our special curated events in partnership with those who amplify Austin's style. Special thanks to IFAB, Condé Nast. Reserve your spot, space is limited. RSVP via the form below, or click here. Named as one of the ‘25 Forward Thinkers Defining the Future of Fashion’ by FashNerd, Ishwari manages the fashion tech programs and events at Centre for Fashion Enterprise (CFE), London's pioneering fashion business incubator. 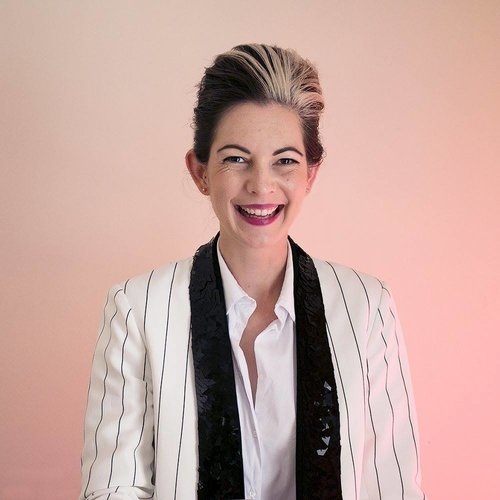 In her 8 year long career at CFE, she has held four different positions and as their current Fashion Tech Manager, she has mentored and advised over 50 global fashion tech businesses, and curated more than 12 fashion tech meetups. Ishwari is a published research author, writer, frequent conference speaker and panel moderator. Alongside her role at CFE, Ishwari most recently had a year long stint as a successful entrepreneur and co-founder herself. She now sits on the advisory board of IFAB, a Melbourne based international fashion advisory as well as the contemporary Portuguese shoe brand INLU. 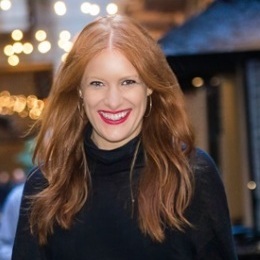 Emma is the Director of Sharley Consulting, a marketing consultancy working with retail, lifestyle and technology brands. Emma and her team shape the way businesses think, act, and plan - helping them to better understand their brand, market, and customer in order to accelerate transformation, drive sustainable growth, and foster long term advocacy. She has spent most of her career in retail and has a strong track record, winning multiple industry awards. In addition to working with retailers in Australia and overseas, she is also the co-founder of a personalized shopping app, sits on retail and technology advisory boards, regularly speaks at conferences, and is an avid contributor to industry publications. Sasha is an expert at uncovering hidden connections to bring big ideas to life. Having led marketing and communications at global brands (Nike, H&M, SOREL), in agency (HAVAS) and nonprofit organizations, Sasha has the aptitude for translating complex subjects to groups across various levels of knowledge and management levels. A life-long learner, she is a published author and public speaker, whose current research areas include: wearable technology, sustainable fashion and the culture of the future. Her passion for branding and building relationships with target audiences has led to unexpected partnerships that create authentic, intimate relationships with target audiences and define brand identity. Inspired thought-leader in the communications space driving strategic, futuristic programs to help organizations soar. A rebel in fashion, Saskia is the founder of global fashion tech community - IFAB. On a mission to bring the fashion and tech industries together, she works with startups and challenger brands to clearly define their position and unique offering in market. A rogue blonde streak in her hair, a love for sneakers and bold colors, Saskia has a unique style and she helps others find theirs. She is an experienced marketing professional with a masterful angle on brand, having the Midas touch with communications, social media, events, and community management. Saskia empowers people to harness new and emerging technologies in fashion.